Year 9 art classes are busy creating work for the annual Combined Truro Schools Art Exhibition 2019. This successful arts programme, now in it’s 14th year, involves a series of creative workshops which allow staff and students from five secondary schools in the Truro area to collaborate with visiting professional artists, leading to a public exhibition and celebration of their work. The theme for 2018/19 is ‘Our World, Our Planet’ and students have been looking at the environmental impact of plastics and other man-made pollutants on the natural environment. 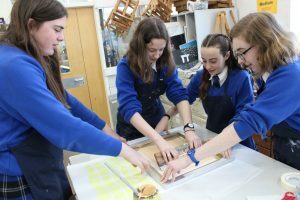 On Monday 25th March ten Year 9 students from The Roseland Academy joined students from Penair and Truro High School for a printmaking workshop led by local artist Tony Minnion, based at Truro High School for Girls. 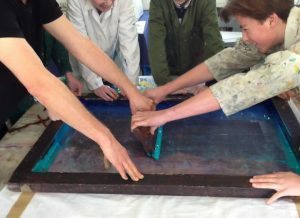 They enjoyed immersing themselves in the creative process for a whole day, working with a professional artist and learning about screen printing techniques. Working as a team, they designed and produced a stunning series of large fabric banners representing land, sea and sky, inspired by the environmental theme. 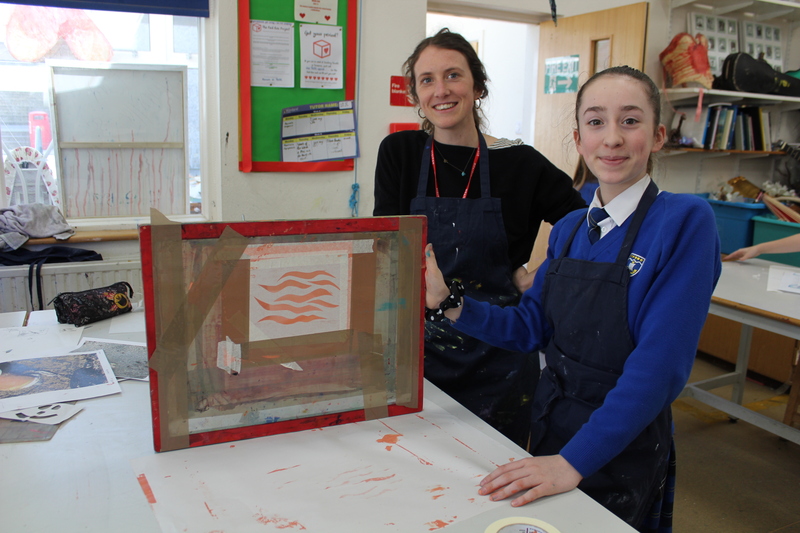 On Tuesday 26 March another group of Year 9 students took part in a second printmaking workshop at The Roseland Academy, led by visiting artist Daisy Jones. 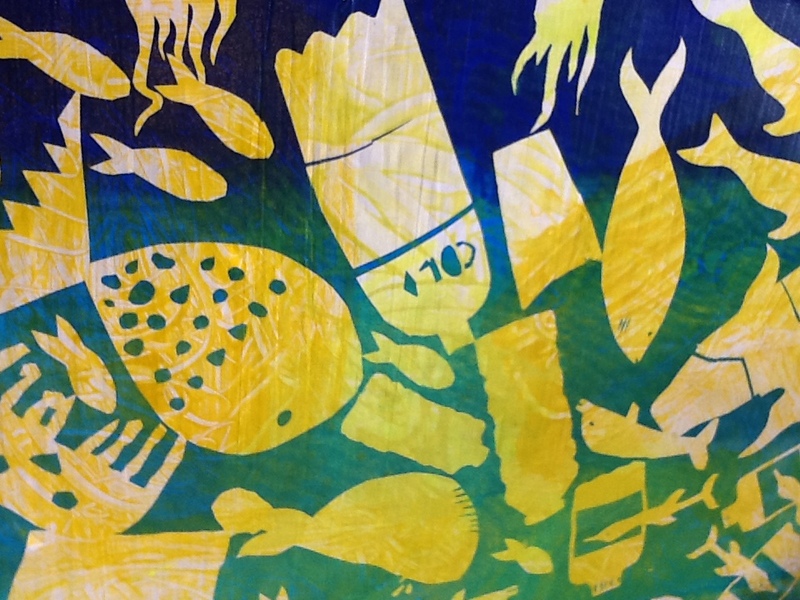 The work was inspired by a series of photographs on the environmental theme, taken by Year 9 students earlier this term, and they created some fantastic original designs for screen prints which are due to be completed next term. We look forward to seeing the resultant artwork in the Combined Truro Schools Art Exhibition, which takes place at Truro Cathedral in the summer term. The exhibition will remain open to the public for two weeks, following a prestigious opening ceremony and private view on Tuesday 4th June, to which all Year 9 students and their families will be invited – further details to follow soon!